TAA is charged with keeping a database/directory of attendees and graduates of Thorp High School. TAA is committed to providing yearly scholarship awards and other grants of assistance to promote the diffusion of knowledge and skills that may be awarded to School District of Thorp students and current year graduates of Thorp High School. 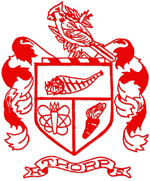 TAA wishes to foster good relationships with THS, the Thorp community and each other through the annual all-Thorp alumni weekend celebration. To keep attendees and alumni informed about the latest and upcoming events of the TAA. To assist in keeping attendees and alumni location information up-to-date. To share pertinent stories about alumni and their families. To facilitate alumni communication with each other.